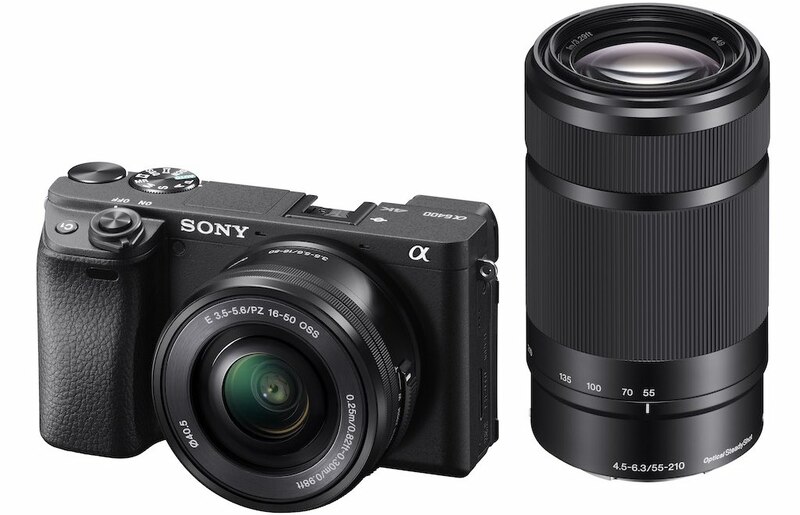 Sony has officially announced the latest in its lineup of mirrorless cameras, the Alpha 6400. 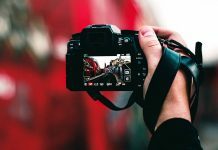 Among its claims to fame are what Sony claims to be the world’s fastest auto-focus, along with AI-powered subject recognition for real-time eye autofocus systems. It also features a 7.5 cm touchscreen LCD display that can be tilted a full 180-degrees, making this camera ideal for high-quality selfies and for vlogging. If this is the mirrorless camera you’ve been waiting for, you can pre-order it at Best Buy starting January 17 at 1pm (EST). The rumors were finally confirmed with Sony’s official announcement of the Alpha 6400, the company’s next generation mirrorless camera. The Alpha 6400 boasts what Sony says is the world’s fastest autofocus system, requiring just 0.02 seconds to acquire a lock. 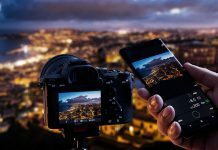 AI smarts power its Real-Time Eye AF and Real-Time Tracking ensuring the focus remain locked on a subject’s eye or a moving subject, respectively, even in low light. There are 425 phase detection and contrast-detection autofocus points, covering approximately 84% of the image area. Touch a subject on the camera’s monitor and the Alpha 6400 will begin to automatically track them (or it). Even with AF or AE engaged, you can snap photos at a blistering 11fps (8fps if you use live-view). The BIONZ X processor produces higher quality images, with improved colour reproduction. The maximum standard ISO sensitivity is 32000, expandable up to ISO 102400 for still shots. 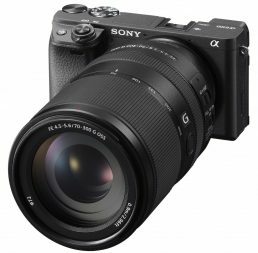 The Alpha 6400 is compatible with Sony’s E-mount lenses. If you’re upgrading from an earlier Sony Alpha mirrorless camera, your lens investment is safe. Sony has incorporated a number of features that make the Alpha 6400 an ideal camera for vloggers. The most obvious is the 7.5-cm display that tilts 180-degrees so you can see exactly what you’re filming while in front of the camera. There’s a new 1:1 aspect ratio option for social media posts too. Film in 4K with HDR support or 120fps Full HD and always stay in focus thanks to upgraded Fast Hybrid AF technology. Output to HDMI or transfer video directly to a smartphone for editing with Sony’s new Imaging Edge mobile app. The Alpha 6400 also supports the option of connecting professional-quality microphones and audio inputs. The magnesium alloy camera body is resistant to dust and moisture, making this camera a great choice for shooting or filming on location. If there’s someone else manning the camera, they can also take shots silently. 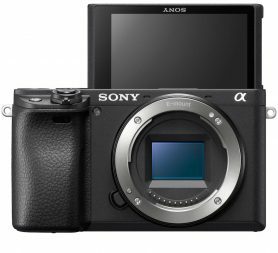 Remember, the all-new Sony Alpha 6400 mirrorless camera will be available for pre-order from Best Buy starting January 17. Check it out, along with all the top camera offerings from Sony, Canon, Nikon and other leading manufacturers. Hi Bruce, I sent your question to the camera team at Best Buy Canada’s head office and I’ll let you know as soon as I get their response. In general, it is a nice compact size, but feels well built in the hand. 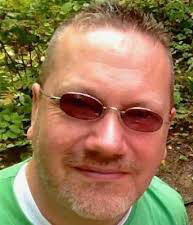 It is fast and responsive, with an amazing autofocus system. 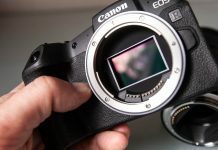 Just a few years ago, mirrorless cameras had the true reputation of being significantly behind dSLRs in auto focus systems.